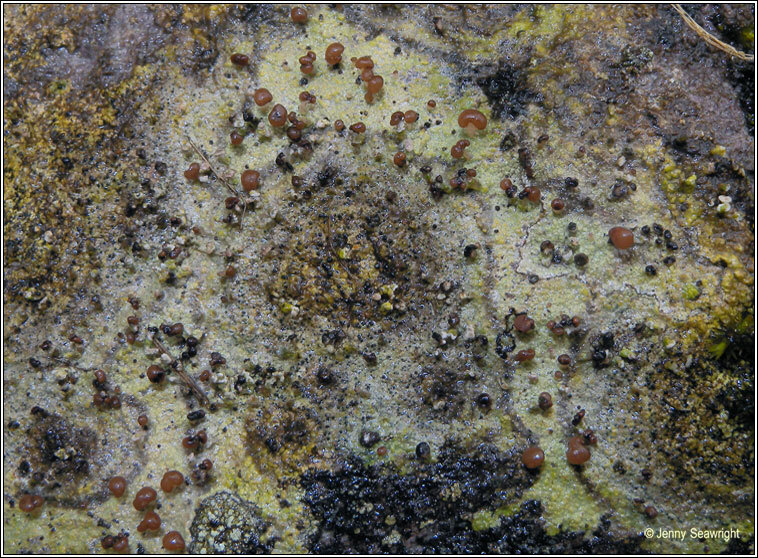 Lichenicolous fungus. Thallus absent or crustose. 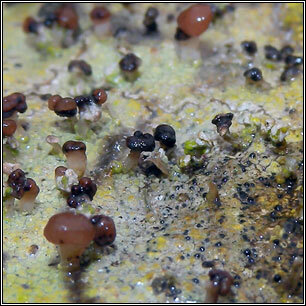 Whitish-grey to dark grey thallus immersed in host giving an unhealthy appearance. 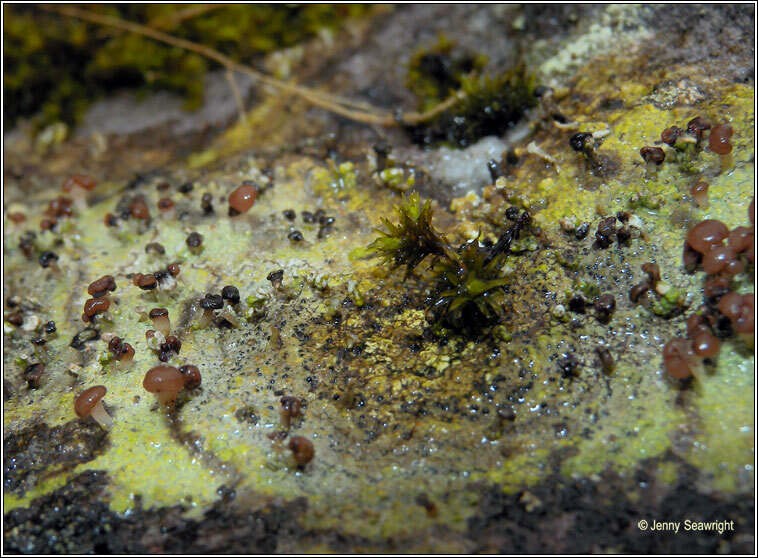 Sessile apothecia, urceolate or +/- closed, becoming disc-shaped with thick margin. Black, usually superficial pycnidia. 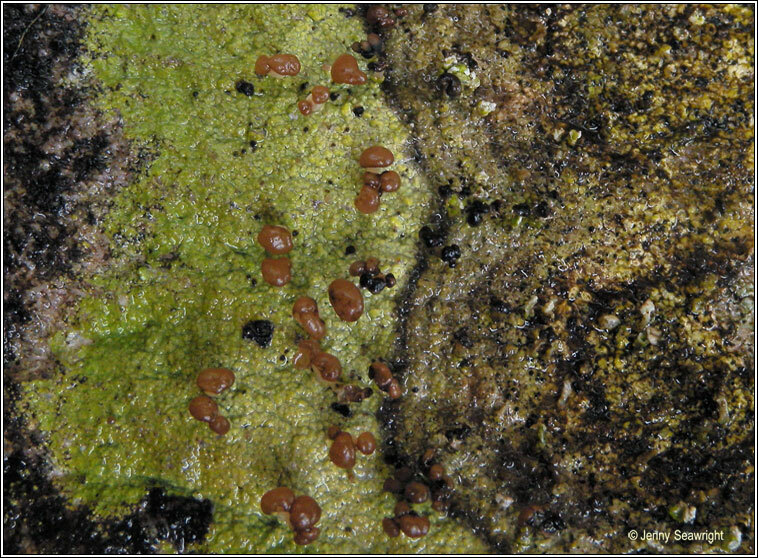 Often only the pycnidia are present.